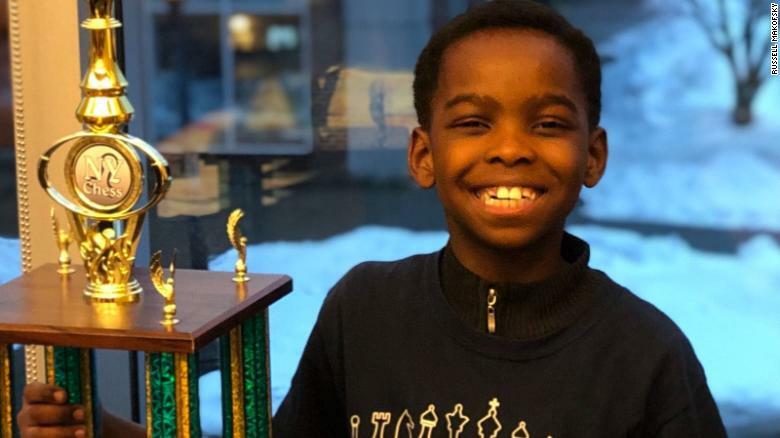 Tanitoluwa Adewumi, an 8-year-old Nigerian whose family reportedly fled Nigeria because of the Boko Haram crisis, is fast becoming a star in the US as he shares what he really love about chess. Gistvic Reports. Tani was interviewed by CNN as they have a little chat with him, his coach and his mother, Oluwatoyin Adewumi. Tani said that what he really loves about chess is the "deep thinking" and good understanding of chess. When CNN asked Tani's mother what this great achievement is to the family, She said "its so great, we are very happy and we are so proud of him". Gistvic Reports. He's 8 years old, an immigrant from Nigeria, and was living in a homeless shelter with his family.